In 2019/2020, Asfar and our RESOLVE partnership will be delivering 2 further RESOLVE reconciliation programmes for people aged 18 to 30 years old. The 2 new programmes – Erasmus+ RESOLVE: PLAY and RESOLVE: Sport – will involve over 200 young people from over 12 different countries. 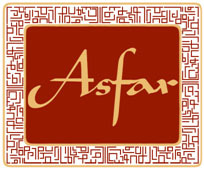 Asfar is currently recruiting for UK Participants now. All other coutnry groups can apply directly to our RESOLVE Partnership Network for more information on how to apply.